In the games me­dia at large, there has been an on­go­ing dis­cus­sion about in­clu­siv­i­ty, es­pe­cial­ly of women in video games and gam­ing cul­ture. While I can’t speak on be­half of any oth­er “gamer girls,” I can say, from my ex­pe­ri­ences, I’ve seen in­clu­siv­i­ty in gam­ing for years, lit­er­al­ly as long as I can re­mem­ber. Women have al­ways played an im­por­tant part in video games for a mul­ti­tude of rea­sons. Despite tropes such as the “damsel in dis­tress” or “fight­ing f**k toy,” these women have agency; They al­ways have and they al­ways will. Although women have con­sis­tent­ly had a role in video games, ei­ther as a playable char­ac­ter a la Lara Croft in Tomb Raider or as a par­tial NPC like Nei in Phantasy Star II, we are be­ing told that the amount of women that were shown in games and on stage at E3 2015 is a gi­gan­tic tri­umph for women in gam­ing. Supposedly, this will make the in­dus­try seem more ap­proach­able, es­pe­cial­ly for younger girls who may be shy about get­ting into gam­ing. I’m here to tell you my con­tro­ver­sial opin­ion on this sub­ject: Young girls and women do not need fe­male game char­ac­ters. Young girls and women need well writ­ten game char­ac­ters. 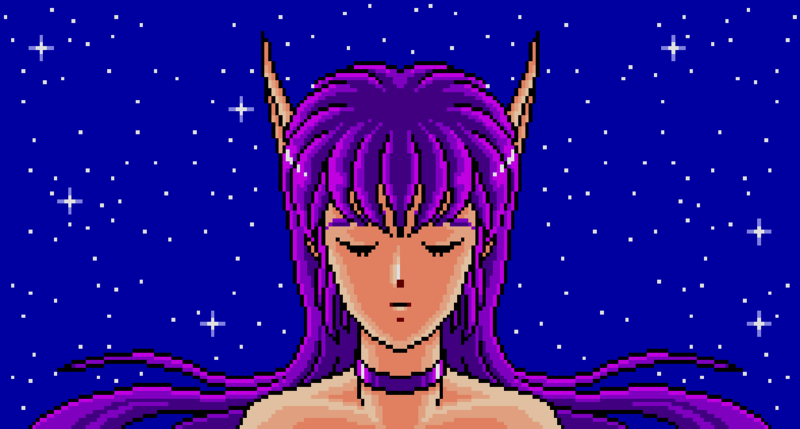 Let me tell you a sto­ry, I have a very spe­cif­ic rea­son I bring up Nei from Phantasy Star II. When I was very young, be­fore I could prop­er­ly hold a con­troller, I watched my broth­er play Phantasy Star II on the Sega Genesis. I would watch in amaze­ment, cheer when he won, and give him a hug and a “try again!” when he lost (I was so nice when I was like, four). When he start­ed to near the end of the game, it be­came very omi­nous. *SPOILER ALERT, ENDING OF PHANTASY STAR II* In the fi­nal boss bat­tle, be­fore the fight­ing starts, Nei is killed in a fi­nal mo­ment of true evil from the en­e­my. Little me lost her damn mind. “BRING NEI BACK!” I yelled at my broth­er, grab­bing his sleeve and yank­ing him from side to side while he scrolled through bat­tle op­tions. “I can’t! Now get off of me!” He yelled while try­ing to com­bat both the fi­nal boss and a pissed off lit­tle sis­ter. I even­tu­al­ly went to my mom, sob­bing. I ex­plained that my fa­vorite char­ac­ter (the girl with the pur­ple hair) was killed and my broth­er had to have done it on pur­pose just to be mean to me. My broth­er came out and ex­plained that was how the game was writ­ten, which was then sup­port­ed by my mom. She ex­plained it’s just like a sto­ry in a book, it couldn’t be changed be­cause that’s how it was writ­ten. Why go into this long wind­ed de­tail about how ridicu­lous I was at a young age? Because it proves a point; Games are able to cre­ate sto­ries and tales that draw us in, and in ways we would nev­er imag­ine. They take us to places we nev­er knew ex­ist­ed or could only vis­it in our dreams. They are en­gag­ing in a way that no oth­er me­dia is, and that en­gage­ment tran­scends many bound­aries. After watch­ing my broth­er play Phantasy Star II, I be­came ob­sessed with video games. How could some­thing like that make some­one feel so much emo­tion? How could we get so at­tached to char­ac­ters? As time went on and I played more games with more var­ied pro­tag­o­nists, male and fe­male, hu­man and not, I start­ed to re­al­ly learn some­thing about video games. The gen­der, race, or any oth­er fea­ture of that type re­al­ly does not nec­es­sar­i­ly mat­ter to a char­ac­ter, what mat­ters is how well writ­ten the char­ac­ters are. This has even been found by Adrienne Shaw of DiGRA, in her study “He Could Be a Bunny Rabbit For All I Care.” In this study, it was found that play­ing as a char­ac­ter who was dif­fer­ent than the play­er, like in gen­der, did not change or de­tract from the en­joy­ment of the game. Young girls and women can find role mod­els in any type of per­son, re­gard­less of gen­der, in video games. All it takes is to not judge a game be­fore you play it, and you’ll see the vast amount of pos­i­tive char­ac­ters who have been cre­at­ed. These char­ac­ters are in­di­vid­u­als who are all the good things we look for in oth­ers; Brave, no­ble, hon­est, and fierce­ly pro­tec­tive of their friends and fam­i­ly. 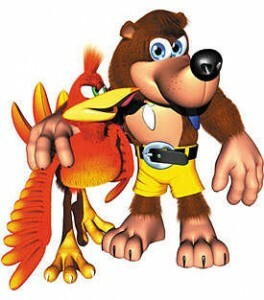 Even non‐human char­ac­ters like Banjo Kazooie show these traits, which is why he has be­come such an icon­ic and beloved char­ac­ter. Lessons such as love, loss, for­give­ness, and even how to deal with death are dis­cussed in games, by char­ac­ters of all types and walks of life. Well writ­ten char­ac­ters can teach even the tough­est of lessons in the most ap­proach­able ways, such as why peo­ple sac­ri­fice their life for oth­ers, in Final Fantasy VII. All in all, women don’t need fe­male game char­ac­ters to feel as though a sto­ry is in­clu­sive and “for them”. All these char­ac­ters need is to be well writ­ten, show­ing the full range of emo­tions, mo­ti­va­tion, and even their wants and needs. There are many sto­ries that are told that have valu­able lessons in which you play as a male pro­tag­o­nist. 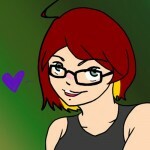 There is no rea­son why a young girl could not learn these lessons from pos­i­tive role mod­els of any gen­der in games. Gender does not play a role in how in­her­ent­ly good or evil some­one is. Women do not need to see women do­ing good things to un­der­stand they’re good things. Thinking women need to see a woman do­ing some­thing to grasp that it is a good thing is, quite frankly, an in­sult to women. At the end of the day, great writ­ing will al­ways trump out to­kenism. Great role mod­els ex­ist in all forms, male or fe­male, and they should be em­braced for their char­ac­ter, not their gen­der.